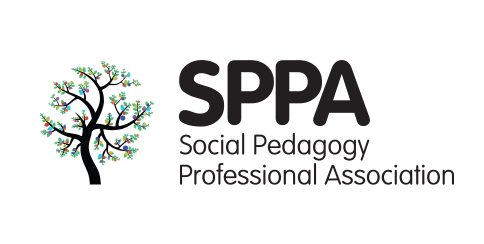 Social pedagogy principles and values underpin practice in many Camphill communities, and representatives from 3 Camphill communities were delighted to facilitate workshops at the Social Pedagogy Professional Association (SPPA) conference in September. One workshop focused on compassionate or nonviolent communication (NVC) and the other workshop addressed how principles and values of social pedagogy underpin practice in their respective communities. A short description of each workshop is included below. How can Nonviolent Communication (NVC) support our work as Social Pedagogues across the life course? The workshop attempted to support participants to develop the inner qualities needed to live their life in in a non-violent way thereby supporting the development of positive strength based relationships. The workshop explored, through practice both individually and in groups, how to develop the inner peace required for authentic empathetic relational work. We pondered on how to work emphatically with others and ourselves, and were challenged to observe situations without jumping to judgements or spontaneous evaluations. We touched on understanding that we need to ‘own’ our feelings and that they are related to our unmet needs which we need to become more aware of; no-one can force us the feel in a particular way – we always have a choice how we respond. The workshop led us to ‘love’ and the suggestion that ‘All we need is love’ for nonviolent conversation. The team focused on how the principles and values of social pedagogy underpin practice in their respective communities. Sandra focused on “The Diamond Model” and how it aligns very closely to Camphill’s pre-existing philosophies. She spoke of the importance of authentic relationships with the emphasis on equality, with Camphill being communities of equals whose motto is “Living, Working, Growing Together”. She went on to describe how “The Common Third” is used routinely in her community, giving the Michaelmas festival as an example in practice. Martin spoke of his work with young adults and the significance of the 3 P’s in building authentic relationships, giving practical examples of how he uses this model. He spoke of the importance of interdependence in life sharing, and how ‘The Common Third’ is routinely used in day to day home life. Supporting individual choice and personal development through ‘risk benefit’ was also discussed. Andrew focused on the significance of meaningful work in Camphill communities with reference to the ‘Head, Heart, Hand’ model to inform practice. Providing meaningful work, where individuals can make a contribution is essential, Andrew said, not only for the operations of a community, but for the feelings of self-worth and value it instils in the people involved. He related this to ‘The Common Third’ giving examples of how farming creates opportunities for people to work together.